The big smoke ring over Elitch Gardens and Mile High Stadium came from the impressive cannon displays at the Supercross event. DENVER — Let’s get this out of the way: no, the Mile High City was not collectively celebrating 4/20 a week early on Saturday night. 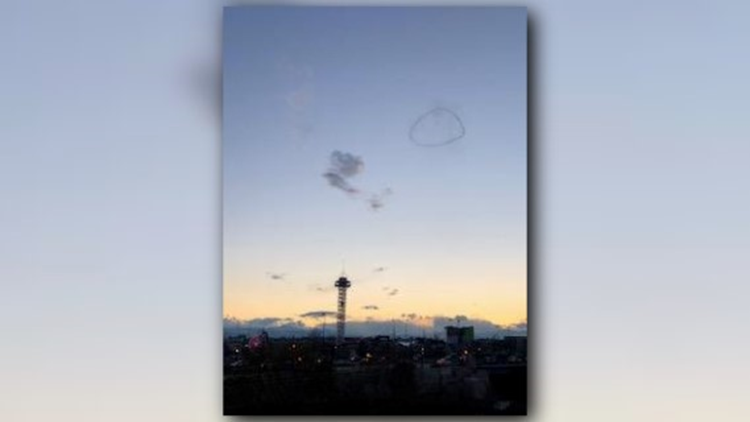 There was, however, a big smoke ring in the sky that some people could spot all the way from Arvada. 9NEWS got about a dozen photos and videos of it, with lots of people making that same 4/20 joke. One person on Twitter even theorized it was a volcano. The explanation for the smoke ring, though, is pretty straight forward.